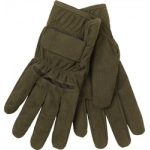 Size: M- 2XL Outshell-Comp: 95% Polyester / 5% Nylon Timber ..
Material: 100% Polyester, Amara Features Light weight and breathable Adjustable cuff Pine Green .. 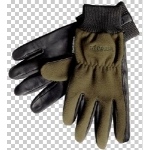 The perfect all-round glove. 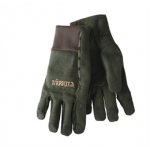 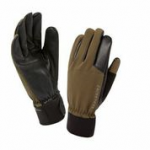 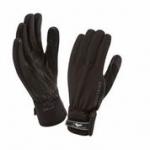 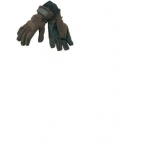 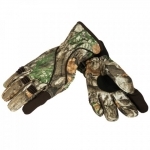 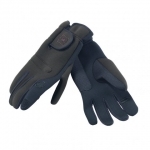 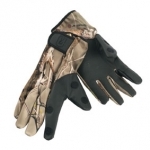 With supple and durable goat skin leather palm, this fully waterproof glove is protective, comfortable and dextrous. 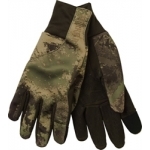 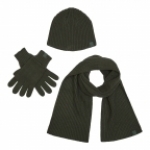 •Totally waterproof, breathable and windproof •Anti-slip to improve dexterity and virtual..
Material: 100% Polyester, Amara Features Elasticated cuff Light weight and breathable Pine Green ..
Sizes: M - 2XL Col: 80-IN-EQ Camouflage Outshell-Comp: 94% Polyester / 6% Tricot Extra: Silicone Grip / Touch - Tech Finger Machine Washable ..
Material: 50% Wool/50% Polyester, Felted Wool, Bionic Finish Features: Micro suede reinforcements Fold back index finger with magnet Touch screen compatible index finger and thumb Rib knit at cuff Logo piping ..
Material: 100% Polyester, Brushed Tricot, DWR Technologies: HWS® dropliner Features: Micro suede reinforced fingertips Fold back index finger with magnet Touch screen compatible index and thumb Anti-slip inside palm Lo..
Material: 100% Polyester, Taplon , DWR Lining: 100% Polyester, Brushed Tricot Padding: 60g Technologies: SEETEX® insert Features: Optimized Seetex membrane Adjustable cuff with one hand system Anti slip palm Rib st.. 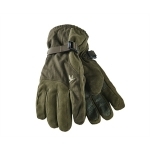 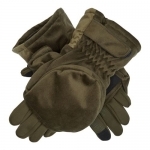 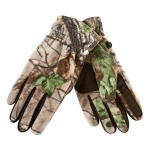 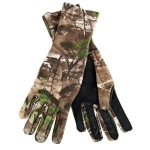 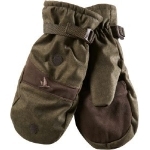 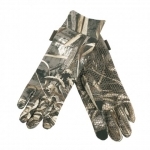 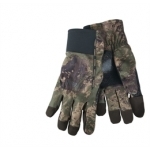 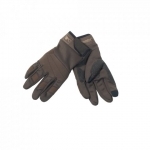 These rugged gloves feature supple leather palms and a full leather trigger finger for dexterity and control. 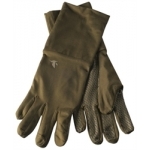 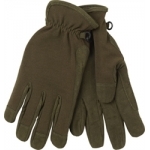 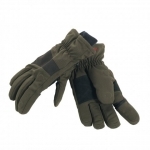 • totally waterproof, breathable and windproof • Supple sheepskin palm & trigger finger for control • non-woven fin..
Material: 94% Polyester/6% Elastane, Hawker scent fabric Features: Scent control finish Anti slip grip in palm Pine Green ..
Seeland Conley Fleece Gloves are fitted for comfort and have been designed with elasticated cuffs to keep the wind out. 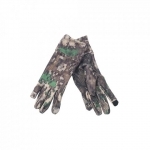 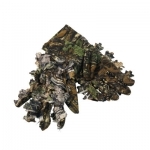 Made using the 100% Polyester, micro fleece, brushed fabric in Realtree® Xtra Green camo, they have Anti-Slip palms and Anti-S..
Outshell Comp: 100% Polyester Velveton Treatment: Water Repellent Contrast: 100%Polyester Membrane: Deer-Tex Insulation: 3M Thinsulater Original 60g/m2 Peat ..
Main Fabric: 100% Polyester, Tricot Lining: 100% Polyester, Brushed Tricot Padding: 100% Polyester, 60g Features: Sound reduced shell surface Adjustable cuff with one-hand system Optimized Seetex membrane ..
Material: 95% Polyester/5% Spandex, Fleece Features Stretchable Touch screen compatible index finger and thumb Rib knit at cuff Anti slip rubber print AXIS MSP Forest Green &nbs..